Today Bay Ridge’s busy thoroughfare, 86th Street, is a four lane street which is crowded and dangerous. Between the years 2006 and 2010 36 pedestrians and 5 bicyclists were hit by cars. It is clear to all that something must be done to create a safer street for pedestrians, who walk there frequently for shopping and other services found between Fourth Avenue and Shore Road. New York City’s Department of Transportation thinks it has the answer: eliminating two lanes in each direction; placing a 10-foot wide center island, enlarging parking spaces to ease the problem of double parking; and disallowing left turns from Fourth Avenue onto 86th Street. The DOT said that these moves would have a “calming” effect on the traffic on the street. Community Board 10, which represents Bay Ridge residents, is vehemently opposed to the city’s plan. “I object to you using the word ‘calming.’ What you mean is ‘delaying”™ ” said Allen Bortnick to the DOT representative last Wednesday. Bortnick is a member of CB10’s Traffic and Transportation Committee. “Taking away a lane won’t lead to any jamming” she said. “Anytime you take away a left turn you make an intersection a little bit safer” Quirk said. Bortnick and many of his fellow Bay Ridge residents strongly disagree. They believe that the already bad congestion on 86th Street will only get worse. “This is going to be horrendous” said resident Tressa Kabbez, saying that the cars stopped in traffic will ruin the air quality of the street as they sit idling and releasing fumes, making for an unpleasant, to say the least, pedestrian experience. Other residents did seem in favor of the city’s plan. “You’re not simply having the same drivers making the same decisions, you’re going to have different drivers making better decisions” said resident Ian Richards. One woman, Maureen Landers, who was hit by a car as she crossed the street while pushing a stroller, says she is afraid to walk on 86th Street. She believes the traffic problems on the street are harming local businesses. The Traffic Committee voted seven to four to reject the city’s plan, but they had some suggestions of their own which they believe could help the dire situation on 86th Street. Among the ideas was to stagger the timing of the traffic lights; adding mid-block stop signs; and putting up fences to prevent jaywalking. 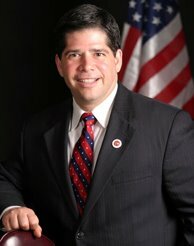 Bay Ridge Councilman Vincent Gentile said it behooves the city to consider the Board’s suggestions before doing anything drastic to the street. “Adding lights and traffic signs might be something we might try before we start changing traffic patterns” Gentile said. The full CB10 Board is expected to reject the city’s plan as well, with a vote scheduled for today, March 19, but since the Board’s opinions are only advisory, the DOT can decide to go against the board and go ahead with their plan. Chairman of the Traffic Committee Brian Kieran believes that the DOT will not be able to go ahead with a plan that is so unpopular with the residents of Bay Ridge. “The overwhelming majority of phone calls at our office were against the proposal” he said.